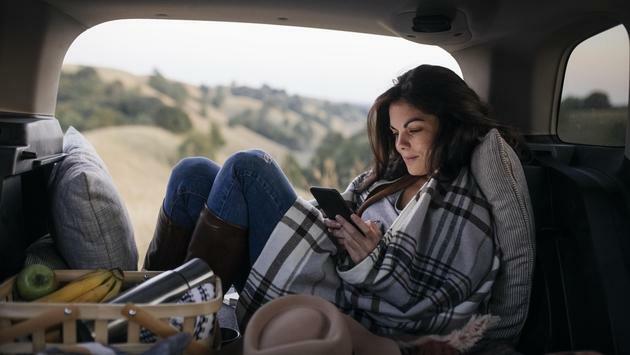 A new study finds Canadians just can't seem to put their phones down, even when they're on holidays. Canadians aren’t very good at shutting it down on holidays. It also seems we may be more prone to exaggerating our vacation photos than our American friends, and that Canadian women are better at leaving the office behind then men. A new study by Allianz Global Assistance Canada find that half of Canadians say they check their office emails while travelling on vacation. Of those, 24% say they do so at least once, if not several times, each day. The Ipsos survey also revealed that men are the most likely to check their work emails, with 54% responding affirmatively versus 44% of women. However, the greatest differences were associated with age. Some 72% of Millennials say they check their work emails while on vacation, compared with 42% of GenXers and 32% of Baby Boomers. A similar survey was conducted in the summer of 2018 by Allianz Global Assistance USA, and a comparison seems to indicate that Canadians may be more deceptive with their vacation posts. While 50 per cent of Canadian Millennials admitted to deceptive posts, only 36%of American Millennials claimed they did so, while 26% of Canadian GenXers said they post better-than-reality photos, only 15% of American GenXers claimed they did the same. “This is the third year for our Winter Vacation Confidence Index, but the first time we have polled Canadians about their use of social media while travelling,” adds Keon. “Beyond capturing and sharing amazing travel memories, our smartphones are a valuable aid in a travel emergency.